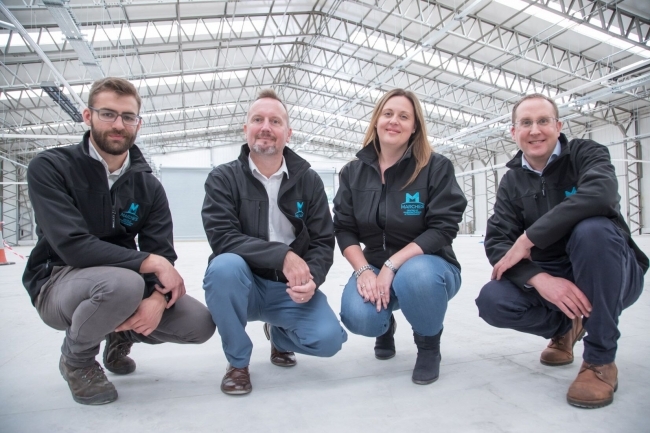 Peter Marsh, Founder of Made Here Now, an initiative to change perceptions of UK manufacturing and attract more talent to the sector takes a look at the new Marches Centre of Manufacturing & Technology in Bridgnorth, Shropshire. A group of companies has come together to start a pioneering training centre to support manufacturing in the Midlands and to act as a broad advocate for engineering in education by linking up with local schools. The Marches Centre of Manufacturing & Technology in Bridgnorth, Shropshire, is a joint venture between three engineering companies in the region and In-Comm, a training services company. It will offer specialised courses to help in the training of up to 80 engineering apprentices a year, about 10 of whom will work in the three partner businesses and the rest in other engineering organisations in the region. The centre will also open its doors to local schoolchildren to provide insights into modern manufacturing and to encourage more of them to consider this field as a career. The three engineering partners in the venture are Shrewsbury-based Salop Design & Engineering, a maker of automotive and rail parts; car restoration specialist Classic Motor Cars; and Grainger & Worrall, a leader in precision castings for industries such as energy and motorsport. Chris Greenough, commercial director of Salop, said the centre could play a big part in opening the eyes of young people to the potential of working in manufacturing. People backing the new venture want to take a lead in creating a new model for offering young people apprenticeships in engineering based around a collaboration involving local companies and training providers. Apprenticeships are increasingly seen as a valuable way to encourage more young people to enter the manufacturing workforce through routes that do not necessarily involve a spell at a university. 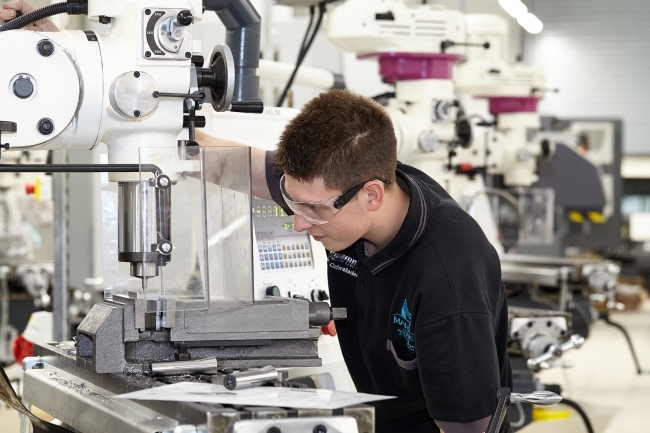 As a result, the government wants to increase the number of apprenticeships on offer as well as improve their quality so that young people learn not just traditional skills but gain insights into the ways manufacturing is changing – such as with new digitised ways of connecting production processes and incorporation of novel robots and other forms of automation. The Bridgnorth centre started up earlier this year and is being formally opened on November 10. It has cost £4m to start up, with almost half of this coming from a grant from the Marches Local Enterprise Partnership, a venture between businesses, education groups and the local authorities of Herefordshire, Shropshire and Telford & Wrekin. The Marches LEP is also one of the main backers of another pioneering venture involving engineering – a new university planned for Hereford called New Model in Technology & Engineering. The new institution is set to become the first new ‘greenfield’ university in the UK for 30 years, addressing the growing need for engineering talent in sectors such as advanced manufacturing, artificial intelligence and cyber-security. It has received promises of £15m in government funding and is due to open to students in 2020. The new Bridgnorth centre follows an earlier venture involving Salop and In-Comm: a smaller training centre run by In-Comm which has been operating since 2015 at Salop’s Shrewsbury headquarters and operates training not just for Salop’s own employees but for people working in other businesses. Under the arrangements worked out by Salop and In-Comm in this earlier collaboration, the training provider finds the companies in the region that require new skills and matches them up with young people who are keen to fill vacancies and require training, sometimes enabling these people to find new jobs. According to Greenough, this arrangement has since 2015 led to the creation of 71 new jobs in the region – with all the people involved doing their training either at the Shrewsbury centre or at the new one in Bridgnorth. Following the success of the 2015 venture, Greenough says it seemed a good idea to extend the partnership to more formally involve other local businesses and to gain the support of the Marches LEP. In this way he hopes that the training opportunities from the collaboration can be increases significantly. Companies that the Salop/In-Comm partnership have been working with include Billcar, a Shrewsbury machining business; Beaverfit, which makes fitness equipment in Church Stretton ; Torus, a producer of automated measurement and testing machinery; and the UK arm of Kiyokuni , a Japanese automotive components fabricator. Local schools that the partners have links to include the state-funded Thomas Adams School in Wem and Adcote School in Shrewsbury, a girls -only independent school. Greenough said he hopes to work with more schools to add to pupils’ knowledge about work opportunities. The numbers of young people going through apprenticeships are at a high level, after some years in which government ministers have tried to reorient the apprenticeship system to make it more relevant to businesses and to ensure it is properly funded. More than 150,000 employers are offering apprenticeships in more than 200,000 locations, covering more than 170 industries across the UK. In England, just over 500,000 people started apprenticeships in 2015/16, of which about a fifth were in engineering related fields, and the rest in a variety of other areas from business administration to retail. Under new government standards, apprentices work at least 30 hours a week alongside experienced staff at a company and are expected to spend 15 months learning new skills at an off-the-job training centre.